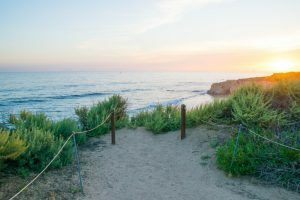 There are so many environmental consulting firms that serve Irvine, CA – and it’s really important that you pick the right one! Meeting your it environmental consulting needs is a big job, and it will mean a considerable investment on your part, so make sure you’ll be in the absolute best hands by choosing H2 Environmental Consulting Services. This company has a well-established reputation in the Irvine, CA area for meeting and often even exceeding customer expectations. H2 Environmental Consulting Services has the specialized equipment, knowledgeable staff, and drive to provide impeccable environmental consulting services for everyone in Irvine, CA. Perhaps you recently purchased a residential, commercial, or industrial property in Irvine, CA. Or maybe you’ve owned the same property for years and you’ve recently recognized the importance of having it tested for common environmental contaminants. Whatever the case may be, turn to H2 Environmental Consulting Services for all your environmental testing needs in Irvine, CA. We have assembled a crew of highly experienced and knowledgeable testing professionals who will analyze every single molecule of your property to determine the presence of contamination and if so, exactly where it exists. Then we will assemble a thorough report and present our findings to you. Schedule thorough environmental testing of your property in Irvine, CA, by calling (800) 524-3578 or emailing CustomerService@H2Env.com. After your environmental testing is complete, we’ll inform you whether contamination is present on your property. If it has been found, we’re also well-equipped to provide complete remediation services anywhere in Irvine, CA. Remediation consists of safely removing and disposing of all contaminated materials according to all federal, state, and local regulations. Then we’ll test your property for contamination again to make sure all of the harmful materials have been successfully removed. When H2 Environmental Consulting Services signs off on your property, you’ll truly be able to breathe easily again. We invite you to schedule testing and remediation services for your property in Irvine, CA, now by calling (800) 524-3578 or emailing CustomerService@H2Env.com. It’s extremely important to make sure your employees and staff are up-to-date in all the most current information about safe handling and disposal of contaminants like lead, mold, fungus, asbestos, and more. H2 Environmental Consulting Services is the ideal environmental consulting firm serving Irvine, CA to provides this essential training to all your employees and staff. We are industry experts who have a wealth of knowledge about environmental contamination here in Irvine and throughout Southern California. We won’t leave until we’re confident that all of your employees and staff have been well-trained and informed so they’ll know exactly what to do if and when they come into contact with environmental contaminants in the workplace. Sign up for environmental training for your staff or employees by contacting H2 Environmental Consulting Services, the best environmental consulting firm serving Irvine, CA, now. Call (800) 524-3578 or email CustomerService@H2Env.com today.